Young adults are invited to the Year of Consecrated Life Celebration. 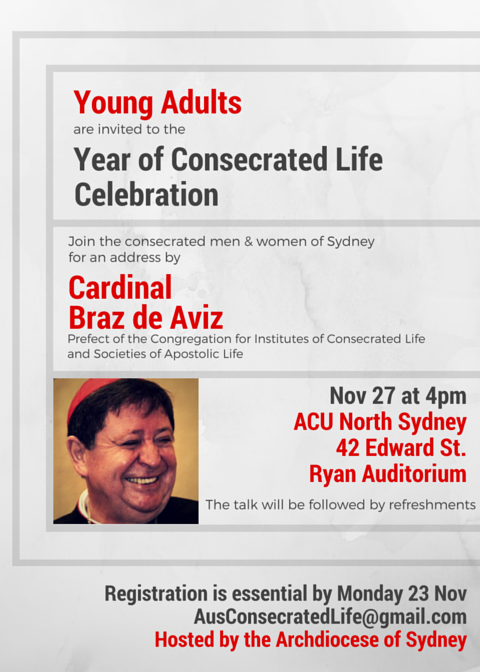 Join the consecrated men and women of Sydney for an address by Cardinal Braz de Aviz, Prefect of the Congregation for Institutes of Consecrated Life and Societies of Apostolic Life. Hosted by the Catholic Archdiocese of Sydney.